Suppose you don't have any office suite installed on your machine, yet you must complete a presentation within the next hour. You can download some software of the Web, true, but what if the speed is not that good? Or if you had prepared the presentation but have not brought it to office. Deadlines running out? Spreadsheets behaving like spread sh**? Running out of disk space? Well, you can try and familiarize yourself with big office suites, paid or free, or you can save yourself all the hassle and just go to some of the online office suites available and get your job done. Your space is saved. Documents are stored in the Cloud, Collaboration with clients is simple, you can access your document and edit them anywhere you want. All you need is an internet connection. Yes, slow ones will do fine. You will require more patience. A word of caution, don't try giving presentations in board rooms if you have a dial up connection. You may have the patience but others may not! There are a plethora of office apps available and I have picked four for the reviews. Let's check them out one by one. I must begin with Google Docs. Since its rather modest beginnings, Google Docs has become almost mainstream. I mean, I see it being used my small offices everywhere now. I must admit this is a welcome change. Previously I saw them using pirated Office software, something that was overkill for most of them anyway. Google Docs features Document, Presentation, Spreadsheet, Form, Drawing and Collection for word processing, slides, spreadsheets, forms, 2D diagram making and organizing respectively. You can directly upload your files or folders straight to Docs. Click on them and they will open the document. The best thing is that the standard office extensions including Microsoft Office is quite well supported. Smart Art graphics or other advanced features will not be rendered properly though. But standard office documents will be fine. Your presentation will lose animation though, but other than that you have nothing to lose. The interface is simple and beautiful in a Googlish way. Elegant. You wont need to go to Help files to figure how to get started. A simple yet highly efficient Office Suite for most of the users, this deserves to be tried at the very least. 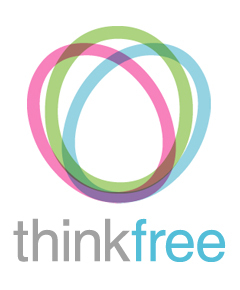 Thinkfree is a superb choice for users who prefer to keep their Office in the clouds. Collaboration options are plenty. Thinkfree provides better compatibility with Microsoft Office than any other, so it is a good choice for more serious office workers. The interface resembles that of Office 2003. It requires Java Runtime Environment to run. Unfortunately the loading time is rather slow. You will have to wait for the applet to load. Took almost 25 seconds for me. Otherwise the features available are top notch, in fact the best. For anyone looking for an Office Suite but do not like to compromise on features, Thinkfree is the only way to go. Zoho has everything. Starting from Collaboration Apps like Chat, Discussions, Mail, Meeting, Docs, Projects, Share, Wiki, Business Apps like Reports, CRM, Books, Invoice, Marketplace etc, and Productivity Apps like Notepad, Calendar, Show, Writer, Sheet, Planner etc. In short this is The King. Except for the looks(it looks kinda office-ish) it has got everything and more. Zoho even has a premium feature which allows even more additions. For daily bulky office work Zoho is the best online solution available. They have even got an excellent Support service. Yes Microsoft also has an Office Suite online. As you can expect, compatibility with MS Office is maximum here. The interface also looks quite like the Ribbon UI in Office 2007 onwards. However there are several downsides to this suite. Featuring Word, Powerpoint, Excel and Onenote Office Live tries to show a lot. Indeed the free storage space is maximum here, SkyDrive, that is the Cloud Storage for Microsoft will allow 25 GB of free space. 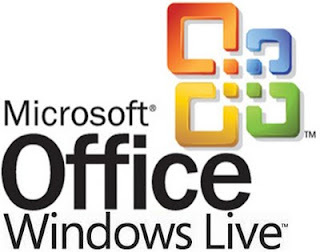 However, Office Live suffers from an acute lack of features. Especially after using GDocs, Zoho or Thinkoffice. I would prefer this to be just a backup space for my documents. I will give Zoho the first position, Google Docs fits the second position, with Thinkfree with a very very close third position. Office Live is far behind at the fourth position.